Palomar Hotel. That’s Miss Tulare (with the camera) and Miss Azusa. Obviously it’s 6:14 p.m. on the Town Clock, in its original location on the Independent Order of Odd Fellows (IOOF) Building. Go here… to learn more about IOOF. CRUISE SHIPS AND OUR MUNICIPAL WHARF?? It doesn’t take much of an imagination to realize that the so called “modernization” (“MORPHING”) of our historic Santa Cruz Municipal Wharf is being pushed through by all the big money interests that will make huge profits by bringing Cruise Ships to Santa Cruz. Check out this Princess Cruise website that sells Monterey as a destination http://www.princess.com/learn/cruise-destinations/california-coastal-cruises . We’d be included under shore excursions by ship’s tenders if the large ships aren’t allowed in the sanctuary. We can only guess what the pressure from the Boardwalk/Seaside Corporation is now and has been for decades. Of course our Chambers, Councils, all want to bring more tourists here. Yet the question always remains…where or when has tourist money ever increased any city monies, the costs of maintaining and attracting tourism have always left cities and towns hurting. FOURTEEN (14) ACRE THEME PARK COMING TO FELTON? Plans are underway and so far mostly underground to build a theme park next to the Safeway/CVS shopping center near the intersection of Graham Hill Road and Mt. Hermon Roads. Yes, lots of opposition and we’ll have a report on this in next week’s BrattonOnline. LOCAL TRUMP VOTES. (repeat) Lest we ever forget, Trump got 22,438 votes out of 132,165 cast in Santa Cruz County. I think it is important that we never lose sight of that vote. I’m going to keep “printing” this for the next few years!!! Beauty may well be in the eye of the beholder but few would argue that the new hotels recently built or under construction in Santa Cruz are attractive. I’d go further and say that most are moneymaking eyesores that reveal a yawning disinterest in civic pride of place. Let’s start with The Marriott on Mission Street Extension. If you haven’t yet seen this big ugly box hotel be prepared for a shock. Painted in colors that defy explanation, it transforms the rural western edge of town into a high-rise commercial strip. Unless ugly colored big boxes are a new architectural statement that eludes appreciation by the masses, it’s hard not to conclude that the planners, commissions and council that approved this hotel had no interest in promoting a visually pleasing built face of Santa Cruz. Another example is the almost completed Hyatt on Broadway. I will admit to a bias. This was the site of the single story Unity Temple with the iconic 110 year-old red horse chestnut tree in front. Ignoring the city’s Heritage Tree Ordinance that requires a heritage tree to be saved unless a design cannot accommodate it, the city council majority (Lane, Posner and Beiers opposed) approved the high rise hotel including eradicating the tree and a zoning change to allow this commercial project in an area zoned for housing. A group of us held a weekly tree vigil protesting council’s decision and judging by the enthusiastic response from evening commuters heading up Broadway, most people agreed with us. Now the hotel nears completion. There appears to be no space left for the required planting of two baby red horse chestnuts to replace the mature beauty that was cut down and chipped on site. Nor was the adjacent pine tree protected during construction as required. It died after its roots were severed during excavation for the hotel’s underground parking. If you forget all of the above abominations and just look at the building itself, I reluctantly admit it wasn’t a bad design: until last week when for some unknown reason two massive plexiglass wings have been added in front, dominating the space and turning it into an eyesore. There are other examples, including a new, 3 times larger hotel on Front and Second St. that has been appealed and is on the City council’s afternoon agenda for June 27th. Last week, neighbors appealed, without success, a new 3 -story hotel to replace a single story hotel on Mission and Swift Streets. It seems the public is trying to give council a message. Do the decision-making bodies bother to look carefully at the design of hotels and high-rise new construction? Do they ask for realistic human-scale renderings at eye not bird-level? Are they aware of the visual tricks used by architects to distort the scale of tall, big buildings including placing pedestrians or a person on a bike or with a surfboard in the foreground so that the proposed building in the background appears much smaller that it will when built? Do they ask for renditions that incorporate the surrounding landscape and existing buildings? Do they cry foul when consultants and planners justify massive new building heights downtown since the historic Palomar is 90 feet tall? Do they ask for story poles to be erected so the public can see ahead of time how the scale of the buildings will impact views and a feeling for place? They should but I don’t believe they do. Other communities make story poles a requirement. Other cities televise their Planning Commissions so the public is more likely to know what projects are under discussion. The city of Santa Cruz is the only city in the county that does not televise its Planning Commission. 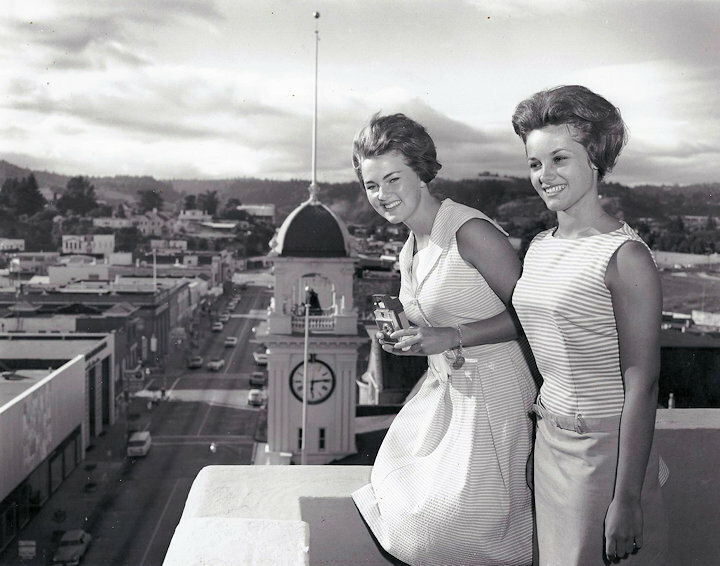 The city of Scotts Valley does; the city of Watsonville does; the city of Capitola does. Members of the public have made repeated requests for the city of Santa Cruz to join the other cities in this practice and all requests have been ignored. During budget deliberations, when councilmember Chris Krohn made a motion, seconded by councilmember Sandy Brown, to allocate money ($7,500) for the purpose of televising Planning Commission meetings, it gained no other council support with councilmember Cynthia Mathews leading the opposition. What do they have to hide? We are facing unprecedented plans for more big buildings in Santa Cruz city within the near future. EIR’s are currently being drafted for the Wharf Master Plan and the Downtown Plan both of which include tall buildings out of scale with what currently exists: 45 feet on the Wharf and 85 feet on Pacific and Front St. Then there’s the Corridors Plan, which threatens to forever transform small town Santa Cruz into high-rise, dense urban throughways to cater to future not current residents. Nobody expects there to be no building. But we should expect that such building be carefully scrutinized early in the process and modified when the public voices its preference for smaller, human-scale designs over the out-of-scale edifices that are being built or proposed. The prize? What prize? Well in this case it’s all about who gets to live in Santa Cruz? How do we make it possible for those who work in town, who have family here, who have long histories (immigrants!) with our beloved Surf City to actually get what is now a brass ring: make a home here? 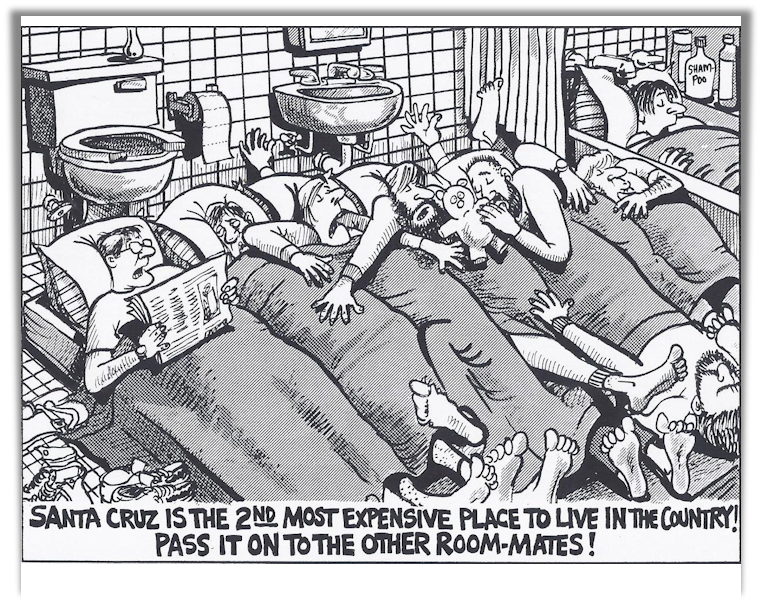 There are around 25,000 units of housing in Santa Cruz for about 62,000 people. And we can be sure that there are well over 62,000 more people who want to live here. Of course, there are empty homes in the city, over 2,000 empty homes on any given night by some estimates. There are also those who own multiple properties and, if they have children, will somehow figure out how to make it possible for them to have the choice of staying here. But what about the one-house family, or the renter family? How will they and their children stay? They will not be able to afford the “market rate” $600k condos that are now being built for second-homers and the Google bus crowd. This is where government comes in. We need to figure out how to house those people most in need, as well as the off-spring of current residents. We also need housing for plumbers, hotel staff, teachers, bus drivers, electricians, and grocery clerks. Perhaps it’s an uphill battle, but I believe we can make some inroads. These are ideas many of you have sent me. Thank you. 25% inclusionary. We must demand every housing developer make 25% of the units of every project “affordable” by HUD (US Dept. of Housing and Urban Development) standards. f they rent, that means around $1000-$1200 for a two-bedroom apartment at the lowest income level. Rent control and rent stabilization. It failed twice back in the Seventies, but that’s when only 40% of residents rented, now renters are approaching 60% of city residents. Mountain View just passed a rent control ordinance, and even the most ardent housing activists will tell you it is not a panacea, but it is a vital must-do piece if our current housing puzzle is to improve. A voter-approved Rent Stabilization Board. This Board must be part of any rent control initiative if we are to be successful in holding the line on the crazy rent increases we’ve been seeing. Community Housing Land Trust. A community housing land trust is a non-profit the city invests in and promotes that develops and stewards affordable housing. Work with Metro and the SC City School District to build real workforce housing. If we want “workforce” housing to be truly affordable the city cannot mandate it for any particular job category, but the city council can work with the Metro and make it easier for them to build affordable housing for bus drivers for example, on their property downtown; and also work with the school district at sites like the former Natural Bridges School on Swift Street where teacher housing might go. Let’s get creative folks! A just-cause eviction ordinance. This is another idea whose time has come. Stories abound around town of how people are getting kicked out of their apartments, some after having paid premium rents for several years, to make way for the AirBnB throng. This issue will be on the Planning Commission agenda on June 29th at 7pm. Reign in Short-term Vacation Rentals. Right now there are over 500 acknowledged “units” of vacation rentals. It has become epidemic. There is a strong lobby for limiting these rentals to a set number of permits. You have time to register your views. The city council will likely take up this issue in October, after the Planning Commission weighs in. Real Estate Transfer Tax gets deeper into the policy weeds than a lot of voters are willing to go, but it’s where a smallish pot of gold just might be buried. Santa Cruz home-sellers now pay $1.10 per $1000 of assessed value when they sell their house. $.55 goes to the county and $.55 goes to the city. If the house sells for $1 million that’s a paltry $1,100 split between city and county. But, Berkeley and Oakland have figured out how to share in the “good luck” of home sellers. That same one million-dollar home results in $16,100 and yields $15k to the city while the county gets the $1,100. That could mount up to some real money, given the dozens and dozens of homes changing hands every year. We could make it progressive too. For example, the longer you hang onto your home the less you pay in transfer tax. Fight for $15. It was a Bernie Sanders campaign shout-out to the youth of America, and it still has mucho traction. Even if we are successful in stabilizing rents in the city, working people will still need a raise to afford rents, and getting wages up to fifteen bucks an hour by 2020 is not only a just and fair first step, it will also help young people be able to stay in Santa Cruz. Then there is the U. UCSanta Cruz basically imports students into town from around the state promising them housing that it cannot deliver, and then sending them into town searching for apartments that no longer exist. And this, despite the fact that within the 10-campus system–Merced, Riverside–there are places for students, but just not here. The UC Regents in Oakland has to face up to the fact that Santa Cruz is maxxed out, and hurting. A 5-year moratorium on university growth would offer the town and the gown time to rebuild infrastructure and recover from the last decade of rampant growth. UCSC should not grow past the current Long Range Development Plan agreed upon number of 19,500 students. This plan is up for renewal in 2020. The undergraduate and graduate student population will likely top 19,000 this coming fall, and only half will be housed on campus….the rest will be competing with townies–renters and immigrant families, you know, the people who do all the heavy lifting in this town. They will also be competing for scarce water, housing and a place to park and even bike. We are well past the, “Is this situation sustainable” question. Conclusions range from, well, if new people did not bring their cars, maybe…Or if somebody would just build 5000 more units of housing…or if the university would just stop taking on more students…or, the more popular response seems to be: hell no, this situation ain’t enjoyable, sustainable, or compatible any longer! And then there are some, like the owner of a popular hot tub/sauna business I ran into as he skateboarded near Branciforte Creek who seems to be abandoning all hope. He believes the Santa Cruz Dream of communes, yoga, meditation, and intellectual debate that was built on a foundation of strong coffee, frozen yogurt, Chi Pants and McDharma’s nature burgers is gone. He tells me the hippies can’t afford the forty bucks any more that it now takes to enter his establishment on Water Street. The hippies have gone onto Ashland and Ashville, Marfa and Missoula, Burlington and Boulder, but he’s staying here, he says. I ask why. Because when I got here from Ohio I just fell in love with this place. I told him I believe we can keep Santa Cruz, weird and for the hippies, and it’s going to take a new, or just reinvented politics. Politics and political decision-making exists; you ignore it at your own peril. We can either use politics to preserve, protect and grow our social values to protect and preserve our unique environment, or we can ignore civic life and be swept up in the course of history by the decisions of others who just might not have our back, especially when it comes to decisions about university and hotel growth, water consumption and snarled traffic. This week I’m going to begin a weekly paragraph on the FIVE (council majority) to TWO (Sandy Brown and Chris Krohn) votes that occur at our bi-weekly city council meetings. That is, the vast majority of votes are unanimous ones, but there are 2 or 3 or 4 votes every council meeting that portray some real political differences, varying views of the Santa Cruz vision, that end up reflecting a distinct majority and minority view on the council. Last week it was all about the Hampton Inn. Councilmember Sandy Brown and I thought we should be relying more on the views, ideas, and input of the neighbors, and our community lost an opportunity to send back a mediocre idea of a gateway hotel and have a chance at something really special situated at our Highway 1 North front door. Number two, we made a rather innocuous request of $7500 to televise Planning Commission meetings on Community TV. It was shot down amidst the $1 million more for downtown Rangers and $547k for a golf course (DeLaveaga) that can’t seem to get off the public dole. 5-2. And then there was the mysterious “writ of mandate” vote on a case “in the Superior Court to challenge an administrative decision by the hearing office” by our city attorney in a code enforcement matter pertaining to a stated publicly announced closed session item concerning a Beach Hill property, 324 Main Street, across the street from the youth hostel. Chris Krohn is a father, writer, activist, former Santa Cruz City Councilmember (1998-2002) and Mayor (2001-2002). He’s been running the Environmental Studies Internship program at UC Santa Cruz for the past 12 years. He was elected last November to another 4-year term on the Santa Cruz City Council. WHO WILL WRITE THE PLAN THAT DECIDES WHO GETS TAXED THE MOST? The meeting will be Thursday, June 29, 7pm at the Congregational Church in Soquel Village (the picturesque white-steepled church). Even if you do not think you want to be on the committee, it would be wise to attend to learn more about what is planned for controlling who will get water and how much we will all be taxed. YOUR DRINKING WATER MAY BE POLLUTED BECAUSE OF THE BOTTOM LINE. I have noticed that the Soquel Creek Water District notified the County Board of Supervisors in the past that one of the wells contains a carcinogen, 1,2,3-Trichloropropane or TCP. I wondered about that report, and then was quite amazed to hear further information about the matter at the April 18, 2017 District Board meeting under Agenda Item 5.4 (page 263 in the agenda packet). There was that report again, but this time stating that the Country Club Well “contains 1,2,3,-TCP concentrations exceeding the draft Maximum Contamination Level (MCL) of 5 nanograms/liter, with levels at the Country Club Well ranging from <5ng/l to 15ng/l.” The Board accepted the report with the additional information that the State has not yet set the safe MCL for this carcinogen in drinking water, so the Country Club Well continues to be in operation, supplying polluted water to District customers in that service area. Does that seem right to you? I wrote the Board on April 23 to ask why they would sell water that is known to be polluted with a carcinogen at levels that exceed the proposed limit? I got no response. I asked the question of the Board again during oral comment at the May 23 meeting. No response. I wrote the Board again on May 31. That time, I got a reply on June 2 from District General Manager, Mr. Ron Duncan. Wow. So the District recognizes the water is contaminated with a carcinogen at levels beyond proposed “safe” maximum contaminant level, but continues to add it to the drinking water they sell because it would be too expensive to drill a new well for water that is not contaminated? Think about that. Now, ask yourself this: Can people really trust this agency to be honest in future proposed plans to treat sewage water and inject it into the region’s drinking water supply? Somehow, I just don’t think so….not when the bottom line of profit seems to be higher priority than public health and safety. Mark your calendar for Wednesday, July 12, 6pm-8pm, at the Twin Lakes Church for a meeting that “will include a short presentation followed by an open house with information stations. Public comments may be provided orally (recorded via court reporter) or in writing.” This meeting is the result of the District changing the Project description since the last Scoping Meeting to “include consideration for additional advanced water purification facility sites and to eliminate treatment of raw wastewater.” This is a direct response to the large and very vocal group of neighborhood residents living near the District offices who do not want a commercial sewage treatment plant in their backyard. Good work, Soquel! The District has published a revised Project description and is accepting comments from June 22 to July 22, 2017. CARCINOGENIC TREATED SEWAGE WATER INJECTED IN YOUR DRINKING WATER??? Do you think the District should consider the great expense of this proposed system that already has them planning to increase customer rates by 17% next fiscal year to pay for it? Do you think the District should consider the merits of building such an expensive system that must function perfectly 100% of the time, without any operator error, to ensure that no spikes of unknown contaminants get completely eliminated from the water before getting injected into the region’s drinking water supply without any possible containment once the water is injected? Do you think, based on the District’s priorities and operating procedures of the Country Club Well and known TCP contamination, that any of us should TRUST them to let the public know if there was a system failure or operator misjudgement? Read more about the potent human carcinogen NDMA and decide if you want to drink it. On the EPA factsheet of January, 2014, NDMA is listed as “an unintended by-product of chlorination highly mobile in soil, with the potential to leach into groundwater.” “In a 2002 survey conducted by the California Department of Health Services, elevated concentrations of NDMA were detected in locations where wastewater treatment plant effluent was used for aquifer recharge….” That is certainly worth researching. Here is the link to read more from the EPA on the issue. Once again, I ask you….can we trust Soquel Creek Water District to be transparent about contamination problems seemingly inherent with injecting treated sewage water in the region’s drinking water supply? Transparency award? How did THAT ever happen? I must compliment the beautiful graphic design of this year’s Santa Cruz County Budget available in a thick binder at the 5th Floor County Clerk of the Board Office. It is colorful, with photos leading off each Department’s budget section that were taken by a staff member from within the respective Department. I wonder how much that glossy tome cost? I could not attend many of the Budget Hearings last week, due to work. That is probably a common problem for most people who have to work to survive, and cannot attend any of the County Board of Supervisor meetings at 9am during the weekdays. I wonder if the new CAO Mr. Carlos Palacios will change any of that? I did attend the swearing-in of Mr. Palocios. I felt somewhat like the mean witch who crashed Sleeping Beauty’s birth celebration when I stood up at the Board of Supervisor meeting to speak about the clouded past of Mr. Palacios, as outlined in the 2010-2011 County Grand Jury investigation report of Watsonville City government under the guidance of Mr. Palacios, the City Manager. That report is about the only information left working on the internet….the Register-Pajaronian articles now all have broken links or are missing entirely. I asked Mr. Palacios to be transparent in all County administrative business. I also asked him to re-instate the Citizen’s Building Code and Fire Code Appeal Board, which Ms. Mauriello disbanded, causing citizens to pay exorbitant appeal fees ($1800) and hire expensive attorneys to get anyone to listen to problems flying out of the Planning Department. The Budget, complete with the approved $47 million borrowed to enable the CAO to claim a balanced budget, will wrap up Tuesday (6/27) afternoon. Following a glowing ceremonial tribute to outgoing CAO Ms. Mauriello, a consideration of the proposed Measure D 5-Year Transportation Projects, the Aptos Village Project jurisdiction hearing….and the list goes on. It will be a busy morning, complete with smoke and mirrors in the afternoon. Stay tuned…. WILL THE BOARD OF SUPERVISORS TAKE LEADERSHIP AT THE APTOS VILLAGE PROJECT MESS??? Stay tuned for next week when I will report whether the Board agreed to hear the Aptos Village Project appeals and if they will take the opportunity to make the Phase I mess… LESS of a disaster. I have asked the Board to assist in negotiating a purchase of the Phase II land to rebuild the bike jumps and pump track for the County’s youth, and to secure the existing parking area for the Nisene Marks State Park users who will soon have nowhere to go. And what about parking for all those future rail passengers? 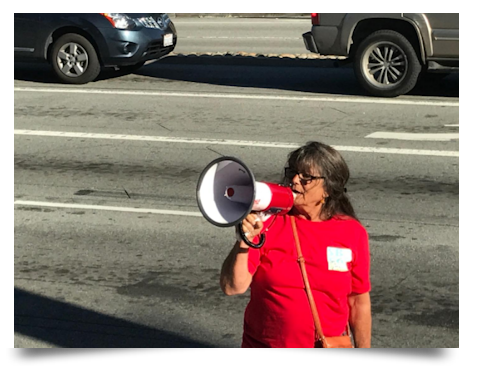 I’ll look for you at the Aptos Parade festivities BUT DON’T FORGET…..
Becky Steinbruner (Becky Steinbruner is a 30+ year resident of Aptos. She has fought for water, fire, emergency preparedness, and for road repair. She ran for Second District County Supervisor in 2016 on a shoestring and got nearly 20% of the votes). Horse race journalism is political journalism of elections that resembles coverage of horse races because of the focus on polling data, public perception instead of candidate policy, and almost exclusive reporting on candidate differences rather than similarities. For journalists, the horse-race metaphor provides a framework for analysis. A horse is judged not by its own absolute speed or skill, but rather by its comparison to the speed of other horses, and especially by its wins and losses. I think it is fair to point to the recent House runoff election in Georgia, pitting Democrat Jon Ossoff against Republican Karen Handel, as a good example of the practice. All sides treated the election as a “horserace,” and there was lots of betting going on. That election, as it turns out, was the most costly House of Representatives election in history. Most of the contributions came not from the District, or even from Georgia, as partisans from all over the country put their money down on the horse they liked best. Ossoff, for instance, is said to have received nine times as much money from California contributors as from contributors hailing from Georgia, where Ossoff was seeking office. A story in The Hill, following up on the Handel-Ossoff race, gave me a chuckle. 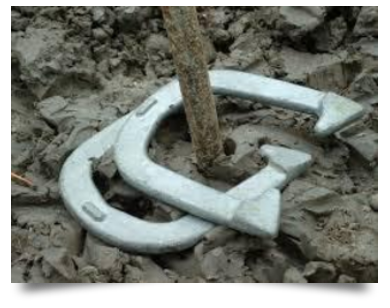 The Hill quoted New Jersey Congress Member Bill Pascrell as follows: “Close is only good in horseshoes.” Pascrell is a Democrat, and he definitely wasn’t pleased by the outcome of that Georgia election. In a “horse race” election, his horse lost! He was wishing that the election had been some different kind of contest (let’s say horseshoes), in which “close” could win. The Hill’s article is worth reading, since it focuses on a big question for the Democratic Party. Is running against our current President the best way to win seats, or do the Democrats need to have some positive program, going beyond being the “non-Trump” alternative? Granted that electoral politics is not “horseshoes,” in which close can be good enough, “horserace” politics tends focus on personalities, not policy. CLASSICAL DeCINZO. “Always room for one more”. Scroll below for DeCinzo’s look at our scene. EAGAN’S DEEP COVER. 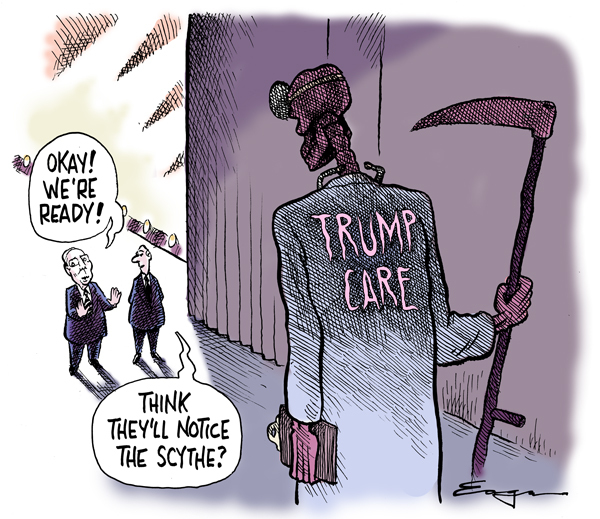 See Eagan’s “Trump Care” down a few pages. As always, at TimEagan.com you will find his most recent Deep Cover, the latest installment from the archives of Subconscious Comics, and the ever entertaining Eaganblog. If you’ve never thought about the number “6” take a look. Santa Cruz Shakespeare has the Santa Cruz premiere of Alfred Hitchcock’s THE 39 STEPS adapted by Patrick Barlow to kick off Hitchcock Week! Hitchcock Week is presented by SCS and we have lined up some happening events starting Friday, July 7th to celebrate Alfred Hitchcock’s rich history with Santa Cruz. Tuesday, July 11 – Hitchcock: A Look Back exhibition and THE 39 STEPS play/film discussion at the downtown Santa Cruz Public Library with Lisa Jensen, Good Times Film Critic and Maria Frangos, SCS Dramaturg and Theatre/English Professor with DeAnza College/UCSC at Santa Cruz Downtown Library at 6:30-7:30pm, free to the public. Santa Cruz Public Library (Downtown). Wednesday, July 12 – The Nickelodeon Theatre screens the classic thriller PSYCHO at 7pm with intro by Tere Carrubba, the granddaughter of director Alfred Hitchcock. Tickets available at The Nick, 210 Lincoln St, Santa Cruz, CA 95060 and at www.landmarktheatres.com on 6/21/2017. BOOMERIA AND BAROQUE ORGAN EXTRAGANZA. Organists Vlada Moran, William Visscher, Faith Lanam and Nicola Canzano play Bach, Vivaldi, Pachebel, Handel and Praetorious on ? July 8, 2016 from 1pm to 5pm at Boomeria, located at….60 Verde Drive, in Bonny Doon. 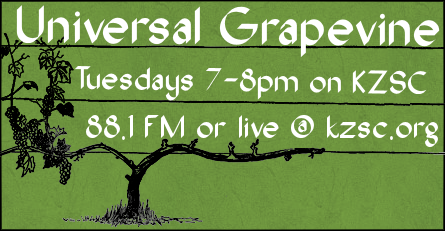 It’s an annual benefit presented by the Santa Cruz Baroque Festival. Tickets available online at scbaroque.org. Ticket prices: Advance tickets: $50, At the Door: $60, Children 12 and under: Free!!! Their email says…Original music composed in Baroque style – ? Fantasia for the Easter Season …And so much more music! Kick back and enjoy a relaxing Saturday at the annual Boomeria Extravaganza on July 8th. Hear local organists tickle these legendary keys and pull out all the stops, literally! Enjoy local and organic snacks with vegan and gluten-free options, along with an assortment of soft drinks, beer, and Hallcrest Vineyards wine. Enjoy having free will? Then explore the Kingdom (and the cuisine) as your heart beckons! And as a testament to Bastille Day, Boomeria’s remarkable guillotine will be “beheading” some treasonous produce. Proceeds from this fundraising event benefit the continued operation of the Baroque Festival’s annual concert season. Brattonote…I’ve been to these Boomeria Festivals and must tell you that it is truly an experience to be remembered. It’s the only chance per year that you can tour Boomeria…and you won’t forget it!!! CABRILLO FESTIVAL OF CONTEMPORARY MUSIC…GETTING EXCITING!! (repeat) There is plenty of excitement for this year’s CabFestConMus ( formerly CabMuFest) They emailed…”Orders are pouring in for Cristi’s inaugural season. Act now to reserve the best seats in the house. Go here to get tickets and programs. LISA JENSEN LINKS. Lisa writes: “Ghouls just wanna have fun in the exuberant new Cabrillo Stage production of The Addams Family. Read all about it this week at Lisa Jensen Online Express (http://ljo-express.blogspot.com).” Lisa has been writing film reviews and columns for Good Times since 1975. TRANSFORMERS:THE LAST KNIGHT. I have failed as a film critic!!! More than eight years of formal film studies, dozens of film forums, 100’s of film books and nearly 40 years of critiquing movies….and I couldn’t force myself to go see this latest Transformer movie. More often than I like to admit, I’ll go see one of these monster movies hoping against hope that just maybe there’ll be a minute or even two of some good film idea. Not this time!!! The 15 Rotten Tomato rating plus the nearly unanimous zinging of critics did me in. I just couldn’t go see it. Besides that, I’ve noticed lately that bad movies leave me in bad moods…so no critique of this mess. Not even Mark Wahlberg, Anthony Hopkins and Josh Duhamel in the leads could get me to see this film. MY COUSIN RACHEL. Daphne Du Maurier who was born in London (1907 -1989) wrote this intricate, wonderful, 19th century, threatening, gothic, perverted story of a trusting rich 25 year old who falls in love with his cousin who is out to take both his brothers and his family fortune. Du Maurier wrote Rebecca and also The Birds which Alfred Hitchcock used as a starting point for that film. Rachel Weisz plays Rachel!! And you couldn’t ask for anyone better…she is magnificent. A British costume saga, and if you’re a follower see this film ASAP. BEATRIZ AT DINNER. Salma Hayek is a poor, hard working , talented, spiritual, immigrant from Mexico who ends up having an elegant dinner with John Lithgow and some ritzy friends. Lithgow plays Donald Trump…(the character is named Doug Strutt) really. It’s a clunking, heavy, poorly directed, blah of a movie. It could have been sensitive, real, poignant and even witty but it isn’t. The ending is not only terrible but it is cruel, pointless and it’ll make you feel bad. Don’t go. And it takes place in Newport Beach. WONDER WOMAN. IF you like comic book heroes or heroines (hope its ok to use that term) Wonder woman is several cuts about the usual no brainer/ violent/monster filled box office smashes we keep seeing. Gal Gadot is a former Miss Israel and we keep hearing about that. She plays W. Woman. Robin Wright, is in it too and she is a long time favorite of mine. She is Sean Penn’s ex. Chris Pine just jumps around looking like the usual Hollywood cutey pie. If you remember that she’s a comic book star and is supposed to battle, fight and pose in tight pants all the time you could enjoy this more than most of that ilk. ROUGH NIGHT. Scarlett Johansson, Kate McKinnon, Jillian Bell, Ilana Glazer, and Zoë Kravitz should be ashamed to have played the leads in this piece of Hollywood crap. It demeans women to the utmost. It has absolutely no cleverness, intelligence, timing, or logic. The plot and way too many scenes are sexist, tasteless, pointless, and set in Miami. That’s enough…forget all about it. PIRATES OF THE CARIBBEAN: DEAD MEN TELL NO TALES. The absolute bottom of the barrel in sequels. Even the dopey mugging by Johnny Depp (whose brother owned a bookstore in Santa Cruz) Javier Bardem, Geoffrey Rush and Orlando Bloom doesn’t save the lack of a story or plot. The effects are built for 3D but add to the confused and twisted story. Avoid this one like the plague. THE MUMMY. Well, it has a 16 on Rotten Tomatoes, and I couldn’t agree more. I’ll bet Tom Cruise snuck a whole bunch of Scientologists into this insane, completely confusing, screwy monster movie. It’s by far the worst Mummy movie I’ve ever seen. (probably about 4). Poor Russell Crowe who must need the $$$ to actually take on a role like the evil Dr. Henry Jekyll. Yes, Jekyll…because Universal is putting a Jekyll monster in one of their theme parks.!! It’s obvious you shouldn’t go, no one else is…it’s a huge bomb.